The Watersports Adventure Package includes a captained Boat Rental in Biscayne Bay, a Tubing session, Paddle Board, Kayak, Snorkels & Masks. You will have a tour of Miami Beach, and islands. Then we will stop at an exclusive island to enjoy a variety of fun water sports activities like kayaking, paddle boarding, tubing, swimming with snorkels & masks. From 2 to 5 people, enjoy this private tour with your family, your friends or even your co-workers, during 3 to 4 Hours. There can be only 5 guests on the boat. The captain has the authority for the boat, and any changes or cancellations of trips will be for the sole purpose of ensuring safety. Children under 6 years-old will be wearing a lifejacket at all times. Snacks and drinks are not included. However, feel free to bring along snacks or a picnic dinner, as well as your own drinks. 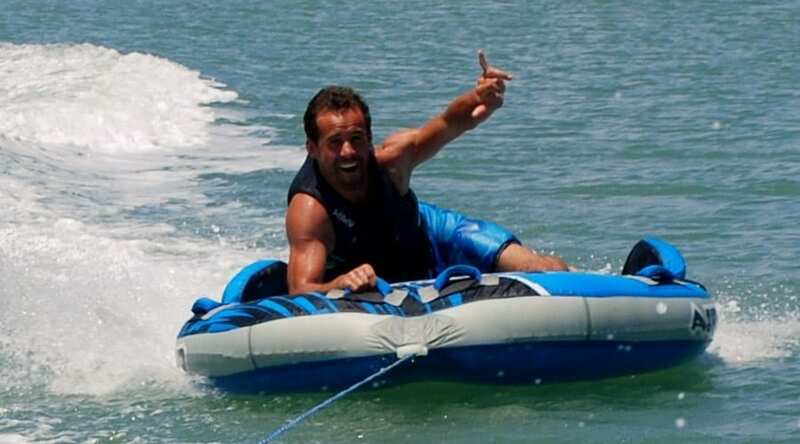 Tubing is the most fun and easy towed sport! Have a blast jumping around on the tube. Kids and adults alike can’t get enough of it! 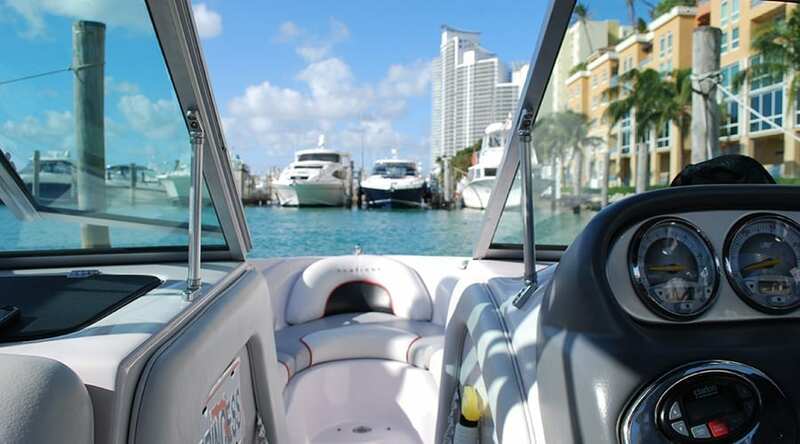 This Captained Boat Rental will take you around Biscayne Bay to view Miami and its beautiful islands from the water, and relax on a Sandbar!